I recall my previous post in June 2011, titled It Pays to Go Green and very little information was available about the SAVE program back then. I know this piece of info has since been updated by by the government for a while now but I'll mention it here anyway. The RM200 rebate for refrigerators and RM100 for air-conditioners is currently on going on a first-come-first-served basis. 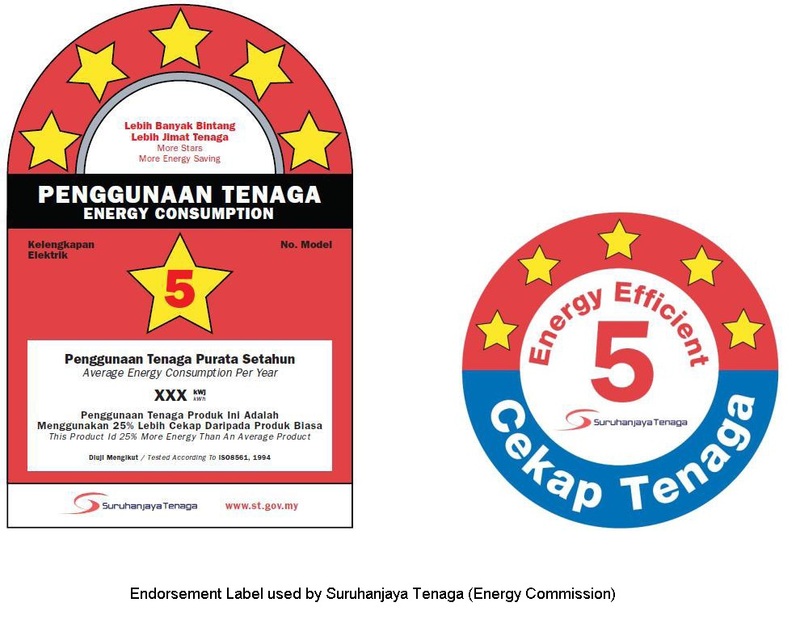 If you are currently living in Sabah, the quota is 3,670 units (refrigerator) and 3,946 units (air-con). The biggest beneficiaries are those living in Selangor (17,315 and 11,601 units respectively). Not that many but if you are an early bird chances are you will benefit from this initiative. ii) a domestic electricity user. That's all! 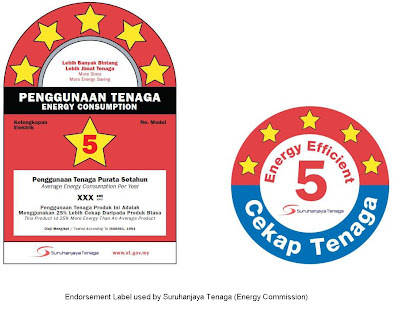 b) Air conditioners – open to all domestic consumers in Peninsular Malaysia, Sabah and Sarawak. If RM200 is not of an issue to you (it is to me), than this is obviously not for you but please help me and our mother earth to spread the news. Energy efficient equipment use less energy to produce the same level of comfort and they definitely leave less carbon footprint. For complete list of appliances (Brands) that qualify for the rebate, visit EE Appliance Listing. The recommended retail prices are quite competitive. To view the detailed information on the SAVE program and how you can claim your rebate, take a look at the ministry's SAVE Program Guidelines For Consumers. 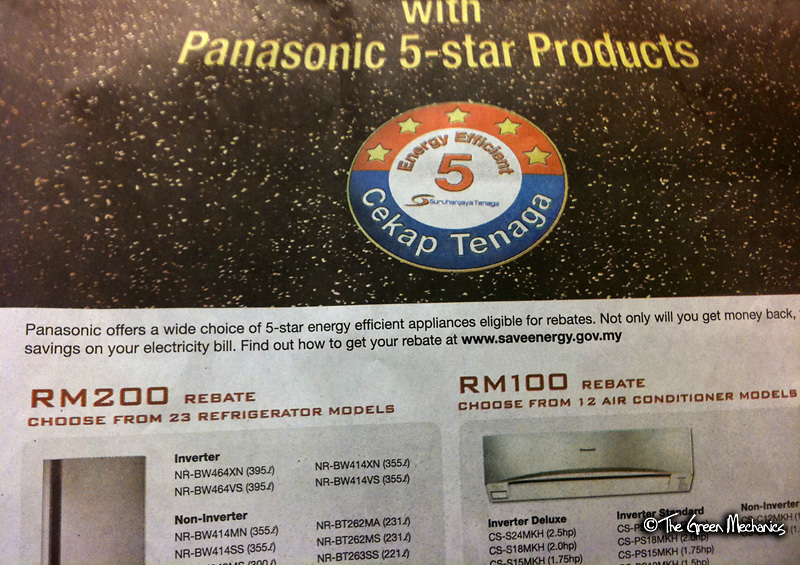 Buy 5-Star aircon/fridge, save some money + pay less monthly utility bill = help mother earth survive another day. Menarik! Mudah2an nilai rebat akan bertambah di masa akan datang, ehe..
Indonesia is currently ranked 9th among the 10 ASEAN nations. Malaysia comes 3rd behind Singapore and the Philippines in the Green Ranking published by Yale. But over time, and with determination, I believe your country would also come out with many good initiative such as this. Let's go green.